Turner Corcoran did his research on Nebraska and then some. 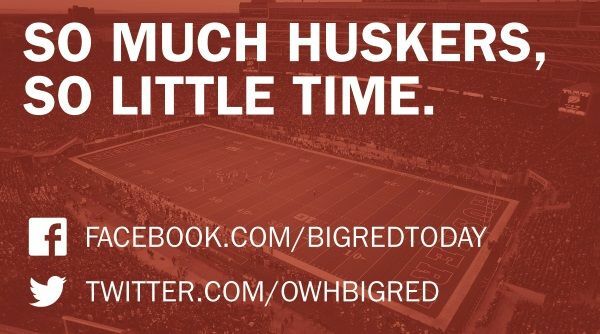 On April 13, he announced his conclusion — he's all N.
The Huskers landed a major commitment from the consensus four-star offensive tackle who informed coaches of his decision after traveling to Lincoln for the spring game with his parents and sister. The 6-foot-6, 280-pound standout from Lawrence (Kan.) Free State chose the Huskers over Oklahoma, Ohio State, Kansas and Kansas State, among others. "They've treated me with respect," Corcoran told The World-Herald in January. "They obviously want me there and want me to be a Husker. They're down-to-earth people and that's great. I really like down-to-earth people. We've built a solid relationship and that's all you can do is keep building that relationship." Corcoran's friendship with coaches and staffers continued to strengthen as he made multiple trips to games last fall and in the offseason. In an interview with The World-Herald this week, he named assistant coaches as well as recruiting personnel and graduate managers as those he was looking forward to catching up with. His latest trip to Lincoln was supposed to be a secret, he said, before a recruiting service leaked the news last week. Regardless, he said recently, it's hard for him to believe he's been around the program so much. "I want to say this is (visit) No. 8," Corcoran said. "Someone on Twitter was saying I've been there 10 times. I was like, 'What the hell? There's no way I've been there 10 times.' But if it's 10, then it's 10." Corcoran becomes NU's third commit for the 2020 class. Quarterback Logan Smothers out of Alabama committed last summer, and Bellevue West receiver Zavier Betts verbally pledged April 3.